FONTANA, Calif. — With some cars you just don’t know where to start your review. Either the vehicle in question has 743 new or improved features, a sophisticated new powertrain, performance and handling that take your breath away, or you get some great quotes from company executives that you’re dying to use. The Subaru’s Impreza WRX STi is one of those cars. 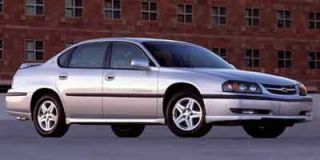 Looking over my notes I see all sorts of things I could write about, but two things keep coming back as I remember driving this no-nonsense, 300-horsepower rocket: instant throttle response and fabulous steering. Even the slightest touch of your right foot to ETC (Electronic Throttle Control or if you prefer, drive-by-wire) stirs the dual overhead camshafts (which are hollow to save weight) to activate all sixteen valves of the extra-stiff 2.5-liter, turbocharged and intercooled “boxer” engine. The pistons beneath those valves are made of forged aluminum alloy, while the connecting rods that move the pistons are made from forged, high carbon steel. Too, the STi features Subaru’s first-ever use of variable valve timing, dubbed AVCS for Active Valve Control System. The IHI turbocharger is identical to those on Subaru’s World Rally racecars, providing up to 14.5 psi of maximum boost. The STI’s intercooler is 30 percent larger than the one of the “regular” WRX and adds a manually controlled water spray of up to two seconds for a more oxygen-rich charge. If this mechanical jargon loses you, just know that the above helps produce 300 pound-feet of torque, three hundred, from a four-cylinder motor. And while impressive, it just begins to tell the story of “the black sheep of Subaru.” That’s how T.K. Saito referred to this “most powerful Subaru ever,” during its U.S. press introduction. The Subaru of America (SOA) President /CEO said the STi proved SOA’s “commitment to bring performance cars to the U.S. market.” Indeed. 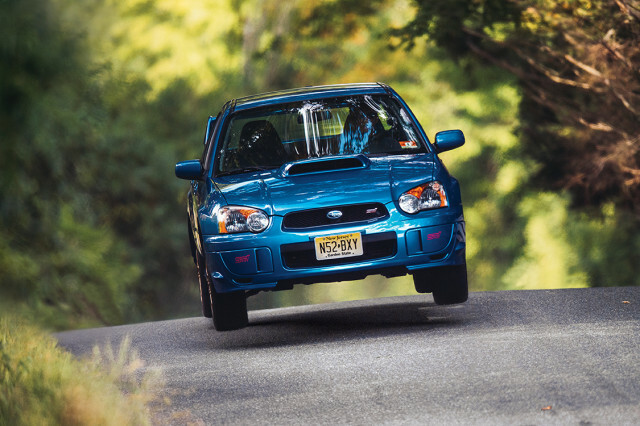 After waiting almost eight years to get Subaru’s regular WRX here early in 2001, less than 30 months will have passed between it’s appearance and STi’s late May debut in dealerships as a 2004 model. 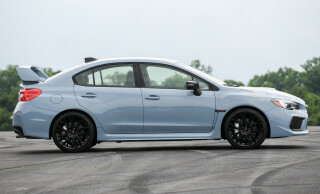 So beside the obvious — 73 more horsepower and 83 additional pound-feet of torque — “what makes STi different from WRX?” rhetorically asked SOA’s Product PR Manager Rob Moran, anticipating every journalist’s first question. 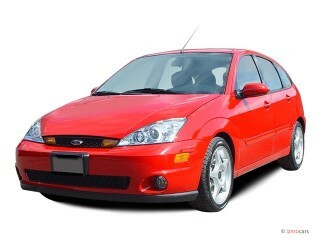 Styling changes up front have improved air resistance, maximized engine cooling and optimized lift force balance. 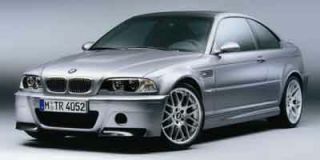 Most noticeable is the larger hood scoop to feed more air to the bigger intercooler, and a new headlamp assembly that contains five different lights inside and smoke-tinted lenses outside. An even bigger deal with those lights is that you can adjust their aim via a circular, console-mounted knob with four settings. It’s another rally-influenced feature carried through to the STi’s street version. Inside you’ll find a few more. First there’s no sound system, as in the old “radio delete” option. 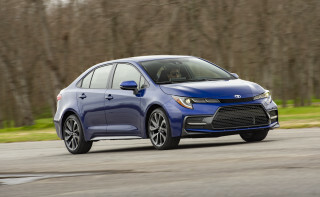 It’s one of the “weight reduction measures” that address what Moran called STi’s “performance vs. luxury” mission that extends to deletion of floor mats and the trunk pass-through. Plus the backlight is made of super-thin glass. All cars are pre-wired for audio, either your choice of an aftermarket system or one that your Subaru dealer can install. Every STi gets the same interior, with blue the dominant color on both the floor mats and seats. The front buckets are a “performance design” with substantial black knit bolsters around the perforated blue Ecsaine cloth. We found them comfortable and supportive whether driving on the street or the road course at California Speedway. The gray leather steering wheel has red stitching and only three spokes vs. the regular WRX’s four and follows “Subaru World Rally Team design.” But that’s only the starting point of STi’s superior steering experience. It’s three turns lock-to-lock thanks to a 15.2:1 ratio vs. WRX’s already fast 16.5:1. But it felt so much better that we asked Moran why. He gave credit to the overall package, starting with an exceptionally stiff chassis that is the Impreza’s ring-shaped reinforcement frame body structure that includes a hydroformed front subframe. 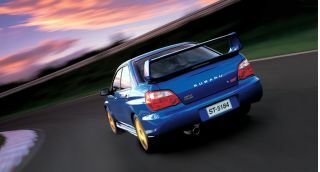 The “STi’s body structure required no modifications to cope with the increased power,” he told us. Suspension-wise, the use of aluminum control arms reduces unsprung weight, while another “rally-derived variation” is inverted struts at each corner for increased bending resistance under hard cornering. 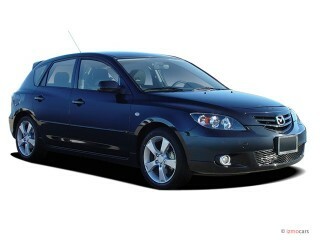 As with the motor, we’re talking about mechanical bits that really translate into great driving feel. Ditto the close-ratio six-speed manual transmission, Subaru’s first and the only one offered on STi. Developed by Prodrive, it features double-cone synchronizers on first, third and reverse gears, with a triple-cone on second, plus an internal oil pump. 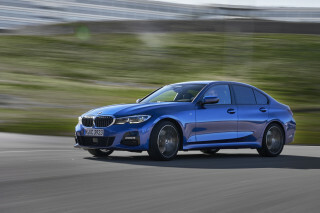 “It’s as driver-oriented as possible,” Moran said, “designed for you to hear noises and not be too refined.” Designed for outstanding stopping power are the huge Brembo ventilated four-wheel disc brakes, 12.7 inches with four-piston calipers up front and 12.3-inches with dual calipers out back. 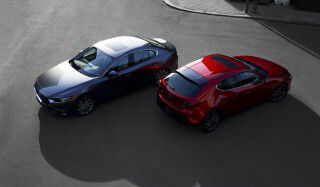 They’re connected to a Super Sport four-channel/four-sensor anti-lock system. Those aggressively attacking the road course reported the brakes as a major positive difference between WRX and WRX STi. So a snow covered rally stage might be the only place you can’t drive the STi, otherwise its all-wheel-drive system is rally ready. Talk about hardware: The STi gets Subaru’s most performance-driven system, featuring DCCD, or Driver Control Center Differential. 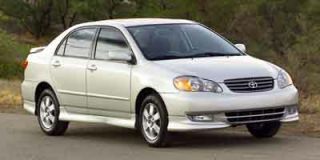 In automatic mode, torque is split 35-percent front/65-percent rear, long considered the optimum for normal conditions. But STi has a manual mode that allows the driver to vary the torque split for specific driving conditions via a thumb wheel near the console-mounted handbrake. Why provide six levels of manual differential locking? Individual driver’s choice for their driving style and weather conditions say the SOA folks. This is all made possible via a new Suretrac limited-slip front differential and a mechanical, limited-slip rear differential. The Suretrac unit doesn’t utilize conventional pinion gears, rather face cams and cam followers respond to any differences in torque between the two front wheels and sends the power to the wheel than has the most traction. Technical? Absolutely, but as we said, it works in the real world or on the race track/rally stage. Subaru says only 300 cars per month will be available in the U.S., one-third of total STi production. By comparison, 2000 WRXs are sold here every month. At $31,445 one would think that they’ll easily disappear. But insurance and the average age of the folks who would most like to own one could be a limiting factor. As far as driving performance and fun factor, the WRX STi has practically no other limitations. Looking for a different year of the Subaru WRX?